If you are searching for the best in boat and yacht window tinting in Cape Coral, Florida, look no further than Quality Custom Window Tinting. Located in Lee County on the Gulf of Mexico, Cape Coral is known as a “Waterfront Wonderland”. With over 400 miles of canals, it is a boater’s paradise. 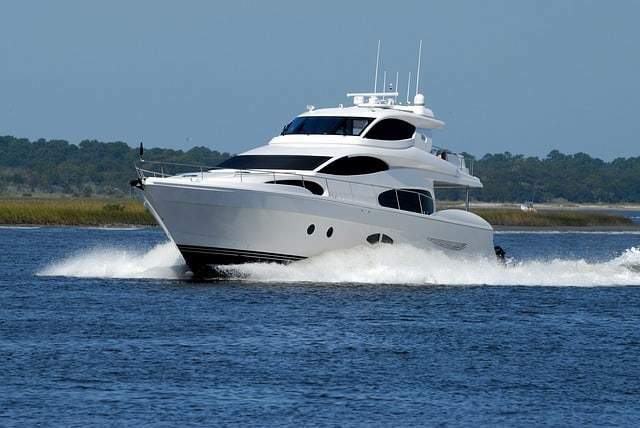 Boating in Cape Coral brings warm and sunny weather most of the year, especially during the summer months when the sun is at its peak and the temperature and humidity are high. With daytime highs of 95 degrees in the summer months, boats and yacht interiors take a beating. Entering a parked vessel feels like walking into a sauna. If you are looking for a more enjoyable ride, protection for your interior and reduced glare and visibility contact Quality Custom Window Tinting. We have been tinting marine windows in Lee, Collier and Charlotte counties since 1994. With thousands of satisfied customers, we have earned the reputation of being Southwest Florida’s leading window tinting company. You can count on us to take care of your prized possession with exceptional craftsmanship, top of the line materials, outstanding customer service and affordable pricing. Our professional installers are highly skilled, fast, clean and will complete your job right the first time. Professionally tinting your boat or yacht windows will reduce the amount of heat entering your craft resulting in a more enjoyable ride for you and your passengers. With a wide selection of marine tinting solutions, you can choose how much sunlight you desire and at the same time keep out the sun’s harmful effects. Enjoy a More Comfortable Ride – Windows that are not tinted provide no covering and little protection against the bright sun, glare and warm Florida days. Tinting your boat or yacht windows will provide you with higher heat rejection, reducing up to 70% of the heat. The cabin of your vessel will require less air conditioning. Who wouldn’t want to stay cooler and save fuel?